We Go Out Of Our Way To Please You. 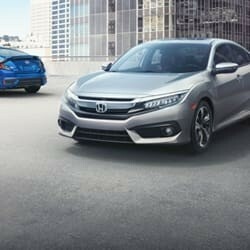 of new Hondas and choose from our great selection below. to none when it comes to providing maintenance and repairs on your vehicle. If you’ve been in an accident, our team will be willing to help you repair the damage. They will make it their mission to see that your vehicle is looking great again. 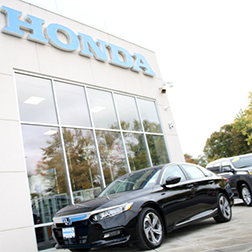 Mohawk Honda is a Scotia, New York dealership that’s proudly served the greater Albany, Schenectady, Clifton Park, Saratoga Springs, and Latham community since we opened our doors in 1919. Though many things have changed since then, we continue to go out of our way to please you. Stop by our 43,000-square foot facility today to find your next car! Whether you’re looking for the hottest new vehicle or an affordably priced used car, Mohawk Honda has a top-notch selection. You’ll find all of the latest Honda vehicles like the popular Honda Civic, the sleek Honda Accord, and the spacious Honda CR-V. We carry used and certified pre-owned Honda vehicles, along with used cars from many different automakers. Whatever kind of vehicle you need, we’ll get you behind the wheel. After you’ve driven away from our store, you can always count on Mohawk Honda for your service needs. 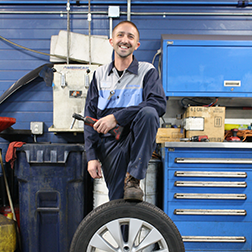 Our Honda service center is equipped with Honda-trained technicians and the latest diagnostic tools. The team we employ is completely familiar with the vehicles we sell and can easily repair and maintain them. 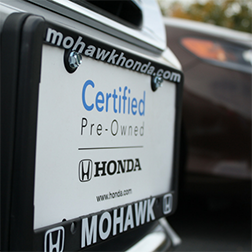 When you visit us, be sure to enquire about our Mohawk Honda Rewards program. You earn points for every visit that can be used to save on service or towards the purchase of your next vehicle. It’s free to join and never expires. Browse through our online inventory and contact us with any questions about a specific vehicle. When you’re ready, visit us at 175 Freemans Bridge Rd in Scotia to take a test drive!